This page lists opportunities to earn volunteer hours that don't necessarily fit well on our online calendar.  Our partners need Certified Master Naturalists to support their efforts to conserve Nebraska’s natural legacy. They have provided us with their needs, and they encourage volunteers to reach out to them. If you know of additional opportunities that should be listed on this page, please contact us at 402-937-8601 or naturalist@unl.edu. This program is a collaboration between the Department of Civil Engineering at UNL, the Department of Environmental, Agricultural and Occupational Health at the University of Nebraska Medical Center, and GC Resolve. Good water quality is important to the health of the public. In communities surrounded by agriculture, there is potential for contamination of water resources by manure and fertilizer application. Nitrates and phosphates are plant nutrients needed for improved growth, but excesses of these nutrients cause adverse impacts on water resources. Excess plant nutrients also pose a health risk to those who depend on these water resources. The goal of our program is to measure levels of plant nutrients present in well water, rivers, and streams within the Elkhorn and Lower Platte River basins. The University of Nebraska will provide all testing materials and training to volunteers. Looking for A Longer-term commitment? Need to build experience for a career in conservation? Looking for a summer get-away that allows you to give back to the world? Want to increase your knowledge of prairie ecology or natural history? If you answered 'yes!' to any of these questions, consider volunteering with The Nature Conservancy at the Platte River Prairies in Nebraska! We are looking for a few dedicated people who are willing to give a month or more of their time between May and October each year. You can assist us with seed harvesting, native plant nursery work, invasive species control, fence repair and maintenance, research data collection, and inventory/monitoring of plant and animal populations. In most cases, we can provide housing during your stay, so your primary expenses would be limited to travel to our prairies and food. We can tailor your experience to fit your individual needs and preferences. If you're a student looking for practical job experience, we will make sure you get hands-on practice with a wide variety of tools and techniques and can network with our partner organizations. If you're more interested in some components of our work than others, we'll do what we can to accommodate that. We can also help set up individual research or other projects if you want something more in-depth, or need something like that for college credit. Anyone interested in volunteering with us can contact Mardell Jasnowski at (402) 694-4191 for more information. We will ask for a resume and references, and will sort through applicants to find a slate of volunteers who match up well with our needs and capacity to provide a good experience for both parties. There is no deadline for applications - we will begin evaluating them as they come in. To learn about the volunteer application process, please click here. Are you interested in spending a relaxing day at Iain Nicolson Audubon Center at Rowe Sanctuary? Volunteer Discovery Leader for Rowe Sanctuary's School Programs: Do you enjoy working with children and have time to volunteer during the weekday? Being a discovery leader at Rowe Sanctuary is easy and fun. We provide the training and all you have to bring is your enthusiasm for being outdoors and a willingness to help children make their own discoveries in nature. All of our field trips are facilitated and our Discovery Leaders explore right alongside children. Ideally we like to have one Discovery Leader for every eight children. Programs vary in length. Help present educational program, teach sessions, topic-based presentations. Normally during weekdays (specific times/dates can be provided to those interested). Help with park management, trail maintenance, habitat restoration, pollinator garden, etc. The Crane Trust is a non-profit dedicated to protecting and maintaining migratory bird habitat on the Platte River. We love our volunteers! The majority of the work gets put in throughout March when the cranes are here and we are all very busy. Our blinds are run by volunteers who get up early or come after dinner to play a video to our guests and lead them into the blinds for a magical experience watching thousands of sandhill cranes come in or leave the roost on the Platte River. Guides will get information about cranes and training on use of the Visitor Center. Who wouldn't want to get to go in the blinds for free? But this is not always for the faint of heart. Sometimes you have to play 'cop' so the guests have a good experience, and walking to and from the blind is required (10 minutes each way at a slow pace). Warm clothes necessary. Looking for an indoor way to contribute? We have greeters who just say "hello," guide guests around the VC, and provide driving route or blind tour information. Gift shop assistance is great! It really helps to have someone there to tidy up or answer questions. Checking out is really easy with our new computer system! We also have a volunteer-run snack bar. Like working with your hands? Trained on machinery? Just want to keep active? We always need help mowing trails, doing trash removal, washing windows, and odd maintenance jobs around our offices. What’s going on at CPBS? The core season is roughly May to August with a few events in the fall. Fall events include Labor Day week and UNL Fall Break (10-17 Oct). We are open but at a lower capacity the rest of the year. CPBS will host 10 UNL courses, several week long educational events, and about a dozen Artists in Residence, each for one to two weeks. CPBS will also host 20 to 30 researchers and interns over various times in the season as well. 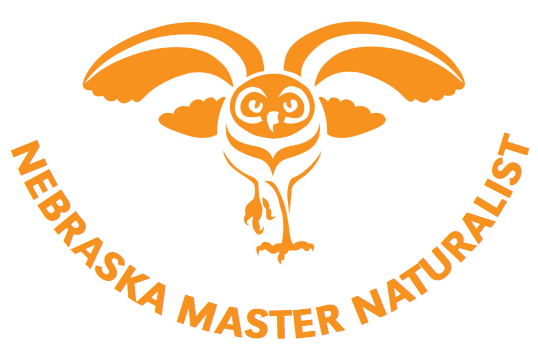 We even host a one week long Nebraska Master Naturalist training event. The offer here is hang, fully integrate into the CPBS community, with people here to do field research and experiential learning while you volunteer and help Cedar Point be even more. For any and all volunteers, CPBS will provide food and housing in season, housing and kitchen access out of season. A week at CPBS might cover all the NMN volunteer and training time you need for the year too. Depends who is here presenting a seminar etc. We are adjacent to Lake Mac, so come out, help CPBS and spend some time on the lake as well. What could you do at CPBS - almost anything. A few examples: We have one budding project that is a collaborative of resident artists and Master Naturalists creating a permanent dye garden; mostly native plants. CPBS shares a prairie dog town with Central Nebraska Public Power and Irrigation District (Central) and we are working through long-term management issues and efforts to maintain that town. Physical help putting up fence and barrier near the P-dog town is very much needed. The site also hosts a number of burrowing owls. We have 15 plus miles of trail all of which need work. We have an active redcedar removal program; join the summer 2018 habitat management interns for a week and help them improve our prairie. Help us create a Friends of CPBS. Help us write grant proposals. Help us work on better documenting the history of CPBS. Closer to citizen science, help us curate and add to the herbarium and the insect collection. This list approaches endless, so come and do what most fascinates you. Contact Jon Garbisch, a fellow Master Naturalist and the associate director.